From the looks of it, engagement rings will more likely be the gift of choice for most lovers this coming Valentine’s Day… which means now is the time to re-organize the jewelries you have in your store, and make sure to showcase your “ring” section prominently in your store. Because, yes! Those rings aren’t going to sell themselves alone! 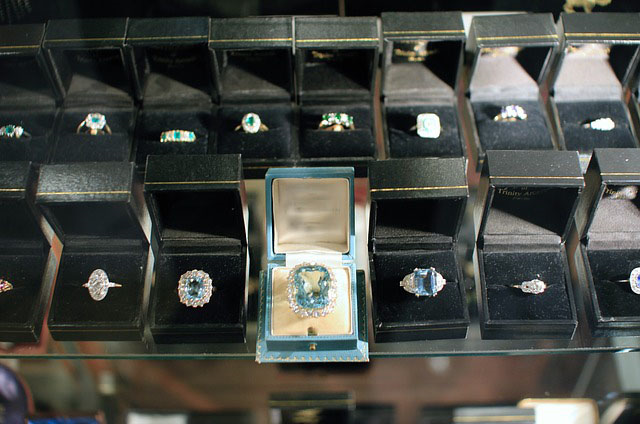 Jewelry trays, mannequins and shelves aside, these rings still require strategic positioning in order to draw attention from customers. But hold it just yet! Just before you summon your inner-Martha Stewart mad skills in organizing your store, you’ve got to have some sort of a arrangement scheme for you to market these Valentine gems this season of hearts. Knowing the use and importance of jewelry displays is one thing. On the other hand, positioning them is a rather completely different story. So, to help you sort out this dilemma, here are some display strategies to effectively sell your engagement rings this Valentine’s Day. It is most likely that you’re going to ask you customer for his/her price range when buying the ring. 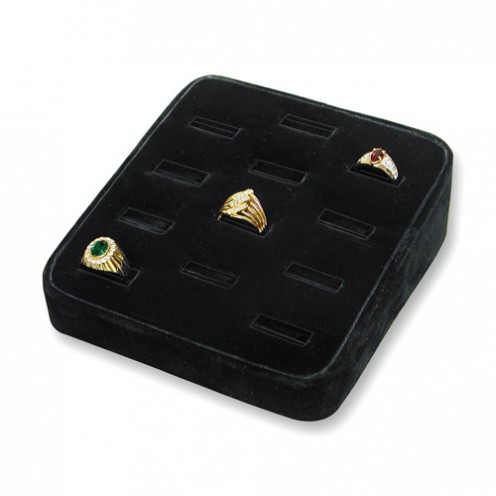 To make things a lot easier, use a showcase ring tray and sort your collections according to the lowest price range up. That way, will be easy for you to exhibit them your entire collection without having to individually take them off from their respective containers. Along with this, customers get to see the ring section immediately upon approaching the shelves, making it convenient for them to pick their desired ring based on their allotted budget. Hand displays are perfect display holders, especially when you’re flaunting high-end engagement rings. This gives customers a visual preview of what and how the ring would look like on their partner’s hand. With this kind of tasteful jewelries, it is definitely worthy of being the front liner of the store by displaying it through the store window. 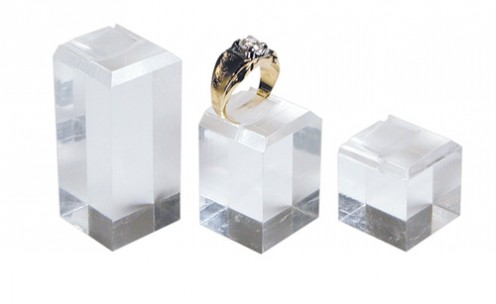 With its iced, transparent look, acrylic jewelry display provides an accentuating, crisp effect to the ring, as light tends to give just the right bounce of light to effectively highlight the jewelry article. Furthermore, it is best to position this on a spot with just the right amount of lighting, so that the glare won’t overwhelm the ring as it rests steadily on the acrylic display. Valentine's Day is right around the corner. We all know its the season for love & compassion. How about making something heart felt for yourself or your dear friend? We've got just the think! Our DIY tutorial will show you how to make stunning wire knot earrings in no time. All you need are a few materials and some jewelry making supplies. Viola! Here's the finished product. What do you think? Tell us in the comments below! Valentine’s Day is here! And by this point in time, it is pretty much assumed that your jewelry store is up and ready for hearts days; that means the whole place must be spruced up with heart-shaped buntings in red. And while the wistful breeze of “love” lingers in the air, might as well showcase your best collections of jewelries. After all, ‘tis the season for engagement surprises, promises of love and sealing the deal of exclusivity. This is where the line, “if you like it, then you should put a ring on it!” applies… or perhaps a necklace or something that would encapsulate their recognition and undying feelings of love for their better-half. So, before you set up your jewelry displays by the store window and glass shelves, you must know beforehand what jewelries will be selling like hot pancakes on during Valentine season. It is mostly during this month – particularly on Valentine’s Day – that most guys will pop up the big question. Of course, it has to be on the most romantic day of the year! So, this should frontline your jewelry store by the shelves and windows. Mostly applies to new and pre-engaged couples, promise ring is usually the antecedent of engagement... a practice run, if you may! Or perhaps, think of it as the couple’s first step towards exclusivity. So, that explains why this jewelry is one of the most bought items during Valentines. Be sure to showcase this along with the engagement rings. Aside from the usual heart-shaped pendants and lockets, initials and/or anniversary numbers are also one of the favorites in the pendant section during V-day. Also a runner up is ring pendant, which normally has etchings of your terms of endearment. This should go by the store window, flowing radiantly as it rests on your body display. Pearls and diamonds are Valentine staples. Caters mostly to matured mates and time-tested married couples, these iced adornments are usually the go-to Valentine’s gift for couples who don’t anchor themselves within the confinements of promise and engagement rings. Charm bracelets are popular Valentine gifts amongst younger couples… Ahhh, puppy love indeed! Sideline this along with the chain bracelets as well as the added trinkets and charms so that customers can easily choose the perfect element to add to the bracelet.